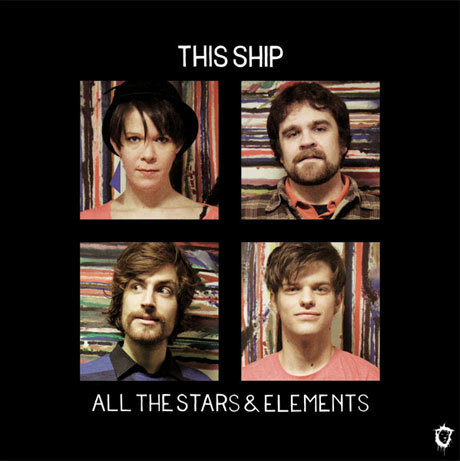 All the Stars & Elements, the upcoming collection from Halifax indie rock outfit This Ship, contains just five songs, but don't be fooled by the brief tracklist — the songs are long enough to make this the band's debut full-length. And in support of its June 22 release date, the group will be heading out on a Canadian tour. The collection was recorded by Charles Austin at Echo Chamber Studio in Halifax. Mixing was handled by Andrew Wiseman, with mastering by J. LaPointe. For a taste of This Ship's sprawling sound, stream "Memory" at the bottom of this page; it moves from a quietly pensive intro to upbeat pop rock and continues to swell for much of its near-seven-minute runtime. See the tracklist below, and scroll past that see This Ship's tour schedule. It runs for a month from the end of May through to late June and finds the band playing shows in Canada's eastern half. On June 6, the group will record a new three-song EP in Quebec City. This Ship "To Move On"